It's Monday which means it's time for TOV, a regular feature on the blog which looks at ordinary items available at most shops and supermarkets which happen to be vegan. In a rare departure from food, today it is the turn of Original Source products. If you haven't tried them yet, you should, they are gorgeous! 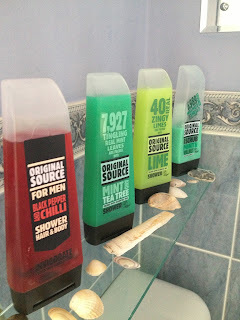 They have a range of shower gels, scrubs, hand washes, a men's range, shave gel, bubble baths, shampoos and conditioners. 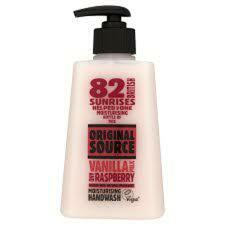 Many of these products are vegan and are approved by The Vegan Society. In addition to this none of their products are tested on animals and they only use natural ingredients and local ingredients where possible. We are a member of the Aromatherapy Trade Council and also work closely with the Vegan Society. Our products contain either pure and natural essential oils or natural extracts. We're not big fans of flying our products in from here, there and everywhere, so we source and produce as much as we can in the UK. After all, it's nice here. Whilst I know there are many vegan and organic skin care and body care ranges out there, Original Source is available at most High Street shops and that's why I am recommending them for The Ordinary Vegan this week. Let me know which skin care and body care products you use in the comments below. I love original Source too- did you know you can sometimes get the products in Poundland in Birmingham city centre and King's Heath? I like Faith in Nature and some Lush things too. Vegan Food, Drink and Lifestyle blog. 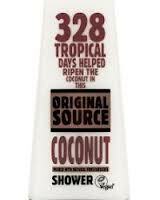 I love trying new cruelty-free, vegan-friendly products. (c) 2014 veganvox.co.uk. Awesome Inc. theme. Powered by Blogger.